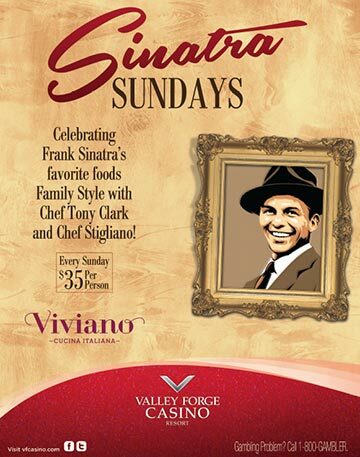 Sinatra Sundays at Valley Forge Casino Resort! Luck Be a ‘Hungry’ Lady Tonight! Fly Me to The Moon! That’s Life! New York New York! Luck Be a Lady Tonight! 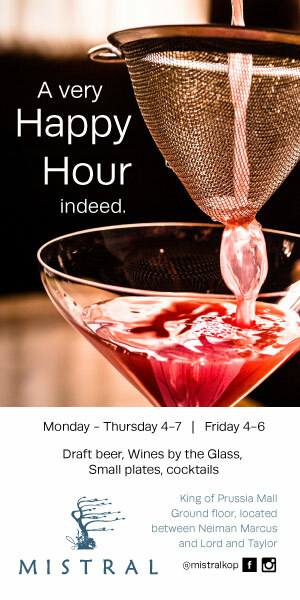 Viviano, the casino’s rustic Italian restaurant, is also returning for Spring Main Line Restaurant Week with an outstanding 3-course, $30 prix fixe dinner menu. Enjoy some of Mr. Sinatra’s Favorite Dishes! 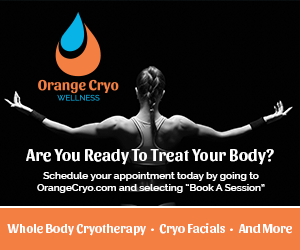 Viviano is located at 1160 First Avenue in King of Prussia, Pennsylvania inside the Valley Forge Casino Resort.